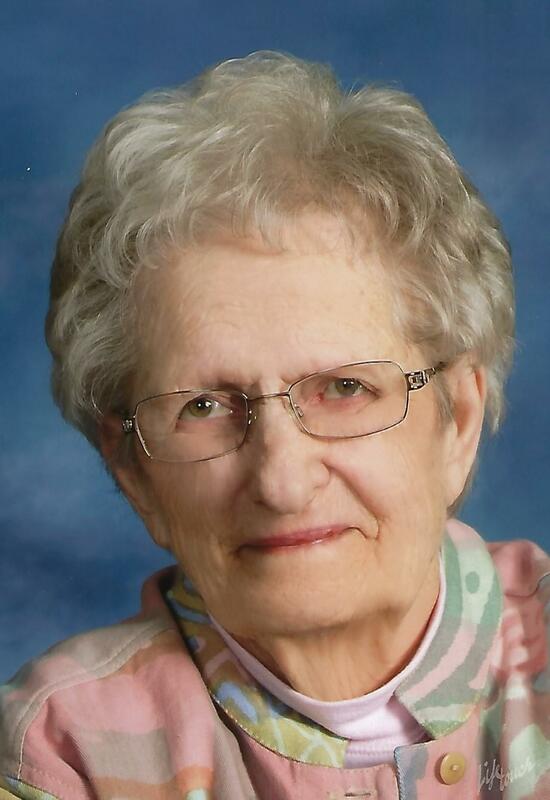 Anne Elizabeth Richardson Keller of Sterling, Illinois went to meet her heavenly father April 9, 2019 surrounded by family at Serenity Hospice in Oregon, Illinois. We remember with a warm heart Anne’s deep and abiding love of the Lord, her staunch Missouri Synod Lutheran faith, her firm belief in the King James Version of the Bible, the Red Book Hymnal and in the life everlasting. Anne was born December 2, 1934 in Effingham, Illinois to George Maxfield Richardson and Helen Rose Schumacher. She married the love of her life, Stuart Y. Keller October 31, 1954 in Shelbyville, Illinois. He preceded her in death September 12, 2014. She was also preceded in death by her Sister. She was a member of Good Shepherd Lutheran Church and The Daughters of the American Revolution. Anne graduated from the prestigious Presbyterian Hospital School of Nursing in 1957 as a Registered Nurse. Her career significantly impacted her patients and, in later years her students. She challenged herself with many avenues in nursing, however teaching was her passion and she is remembered by many for the encouragement she gave them to achieve their dreams. After her husband’s retirement, Anne and Stuart fulfilled their dream of travel. They most enjoyed returning to Hawaii frequently, as this was their first home as newlyweds 63 years ago. She maintained life-long relationships with classmates and friends spending many enjoyable times together. They also enjoyed time spent with Stuart’s classmates and teaching colleagues. Her favorite companions were her children and her faith. Anne was an avid sports fan having a vast and amazing knowledge of team and player statistics. Collegiate sports especially basketball were her favorite, she also loved Sterling Newman High School sports, the Cubs, Packers, Tom Brady and Drew Brees. Sadly, she had given on up on the Bears. She had an incredible memory and her stories were many and captivating. Anne spoke from her heart and loved with her whole soul. You never wondered where she stood on an issue, she was never shy about sharing an opinion, especially regarding politics. She was a voracious reader who loved historical works, autobiographies and a good Jack Reacher novel. She was truly a unique and special woman who will be greatly missed by her friends and family. Our world will not be the same without our Mom in it. She is survived by three daughters Elizabeth (Richard) Barnhart of Sterling, Kathleen (Gerald) Ford of Dixon, Amy (Ron) Smith of Mount Morris; one son, Stuart Keller, Jr., of Greenwood, IN. 11 Grandchildren Nancy (Alex) Dorame of CA, Rebecca (Nathan) Grund of Canada, Edward (Laura) Ford of Dixon, Jacob (Whitney) Ford of CA, Samantha Smith of Oregon, Joshua (Kaylee) Smith of MI, Nicholas (Heather) Smith of WA, Tabitha (Jordan) Thomas and Zachary (Sammantha) Smith both of Mount Morris, Joseph and Michael Keller of Greenwood, IN. 5 great-grandchildren Jillian, Ella, Jonathen, Harper and Otto. She is also survived by a brother, a niece and nephew, and cousins. She was also preceded in death by her Sister. Visitation will be from 2-4 on Sunday April 14, 2019 at Schilling Funeral Home Sterling, IL. Funeral will be held Monday April 15th 2019 at 11am at Good Shepherd Lutheran Church Rock Falls, IL with the Reverend Daniel Behmlander officiating. Internment at Oak Knoll Cemetery in Sterling, IL. A Memorial has been established to Good Shepherd Lutheran Church.